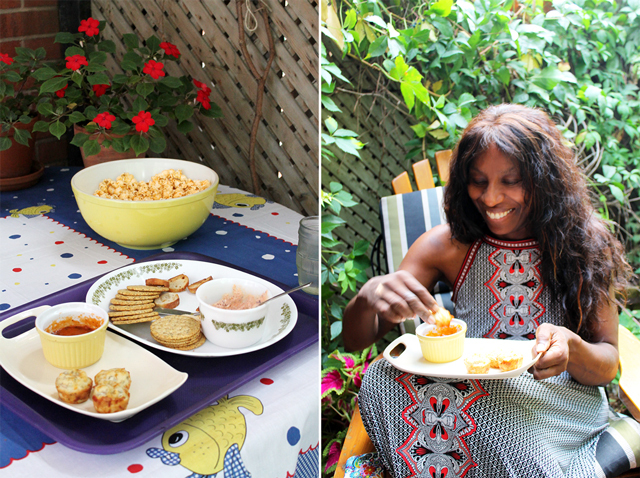 Here's a recipe for a vegetarian hors d'oeuvre that everyone seems to really like. 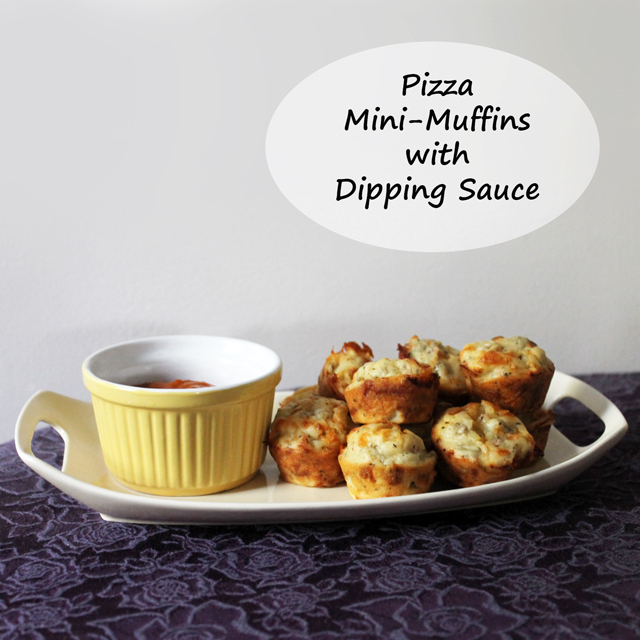 These "Pizza Mini Muffins" have green olives in them, but, in my experience, even bona fide olive-haters enjoy them, happily accepting seconds. In fact, this recipe is being posted here at the specific request of one of them! - Preheat the oven to 375 degrees. Oil a 24 hole mini-muffin pan. - In a large bowl, whisk together flour, baking powder, oregano, basil, onion powder, cayenne pepper and salt. - Add milk, beaten egg and olive oil, and whisk until just combined. - Add cheese and olives and stir. - Bake for 20 minutes or until golden. 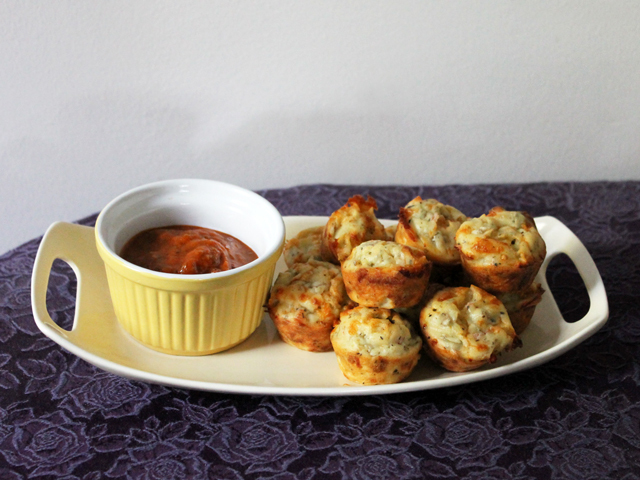 Serve warm or at room temperature, with about 1/2 cup of warm Pizza Sauce for dipping. The sauce can certainly be store bought, but if you'd like to make some from scratch, here's how. - There's no need to peel the tomatoes, however, if you'd prefer to, cut a shallow cross into the skin and drop them into a pot of boiling water. Boil for about a minute and remove. Cool under running water. Peel should come right off. - Cut tomatoes in half and remove seeds (squeeze halves over a bowl and they should drop right out). Chop tomatoes. - Heat a frying pan and then add the olive oil. Add onions and garlic and saute until cooked through, making sure they don't burn (burnt garlic tastes remarkably terrible!). - Add tomatoes, oregano and basil and simmer until thickened. Add salt, a bit at a time, stirring and tasting, until it is as salty as you'd like it. - If required/desired, blend sauce with an immersion blender or in a blender or food processor. - If required, further reduce by returning to pan and simmering a bit longer. The Pizza Muffins keep for a few days, wrapped and refrigerated. Or they can be frozen. To serve, place frozen on a parchment paper lined baking sheet and heat in 350 degree oven for a few minutes until thawed and warmed through. I hope you try making some yourself!